Check out the latest offerings. Seaside Serenade Hydrangea. David Sherwood, Sherwood's Forest. Mukgenia Nova Flame. Andria Graeler, Chesterfield Valley Nursery. Starfish Potunia. Sarah Riley, Bowood Farms. Let's Dance. Richard Poynter, Poynter Landscape Architecture. Double Take Peach Chaenomeles. Claire Weiss, Frisella Nursery. Low Scape Mound Aronia melanocarpa. Laura Caldie, Greenscape Gardens. Photography courtesy of Proven Winner. The Fawn. Ann Lapides, Sugar Creek Gardens. Proven Winner's Festivus Gold Ninebark. Katy Scott, Green Guys. Photography courtesy of Proven Winner. Landscapers are embracing new varieties of plants and flowers introduced in 2018. 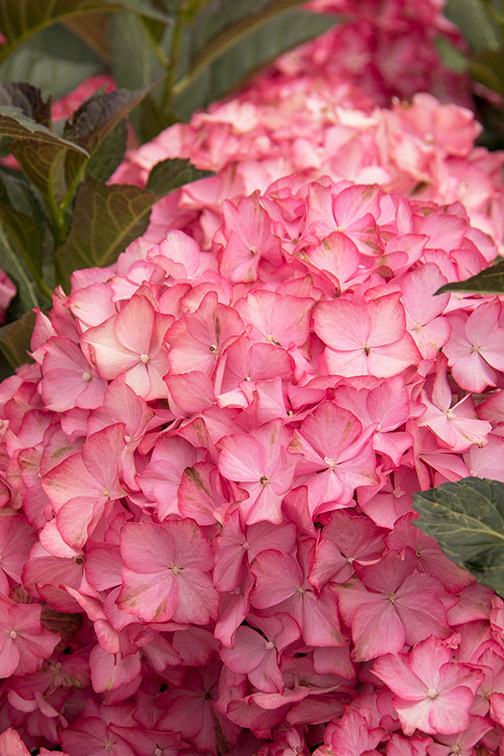 If you’re looking to add something different in your garden, check out the latest offerings. one: “Seaside Serenade Hydrangea series is new for 2018. The Cape Cod is blue to purple and the Hamptons is a deep pink. 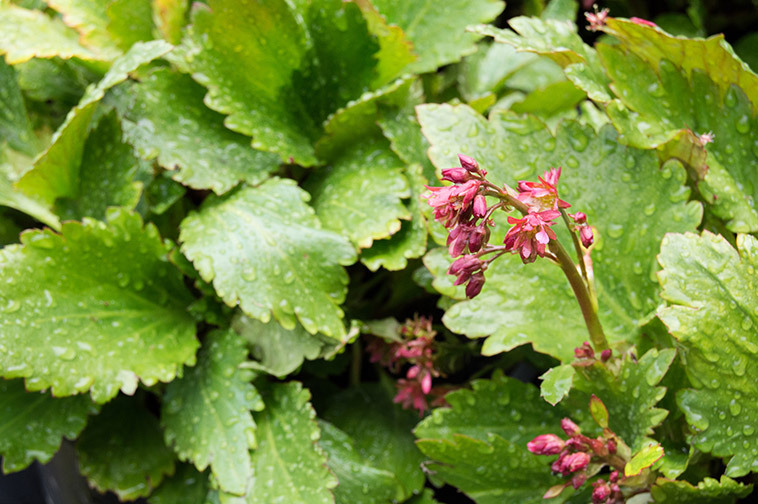 It requires low light, is a repeat bloomer and is great for moist small spaces.” David Sherwood, Sherwood’s Forest. two: "Mukgenia Nova Flame is a newer bi-generic hybrid perennial that offers interest spring through fall. From the spring's fuchsia blooms to the fall's vibrant red-purple to magenta jagged-edged foliage, this plant will provide your landscape with stunning color and texture." Andria Graeler, Chesterfield Valley Nursery. three: “One of our new favorite varietals this season is the Starfish Potunia. This particular petunia has a mounded habit, which will keep it more compact. It is ideal for container gardening.” Sarah Riley, Bowood Farms. 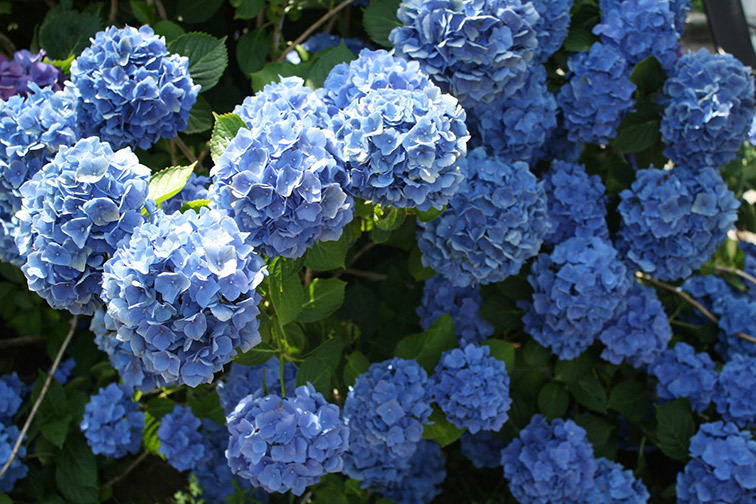 four: "Let's Dance series represents the next generation of hydrangeas. Moonlight blooms every year on both new and old wood. 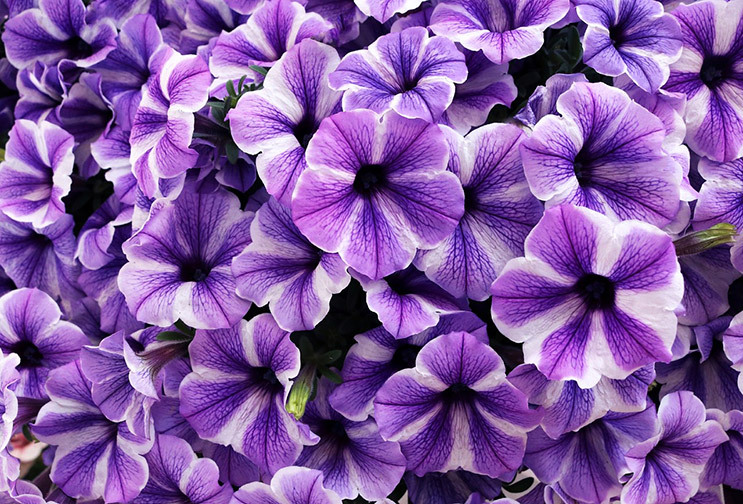 It blooms blue in highly acidic soils and lilac to pink in slightly acidic soils." Richard Poynter, Poytner Landscape Architecture. 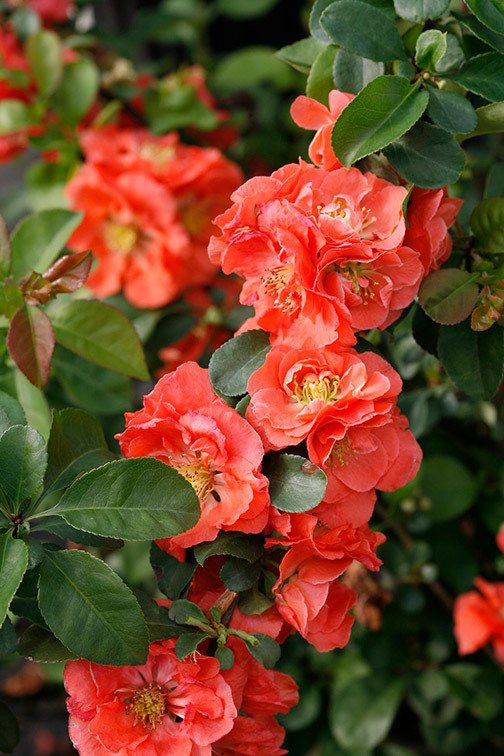 five: "This Double Take Peach™ Chaenomeles speciosa - flowering quince is new in 2018. It has a striking peach-orange color and looks as though the mature height is a compact 5 feet, great for a deciduous screen or foundation planting in a mass." Claire Weiss, Frisella Nursery. 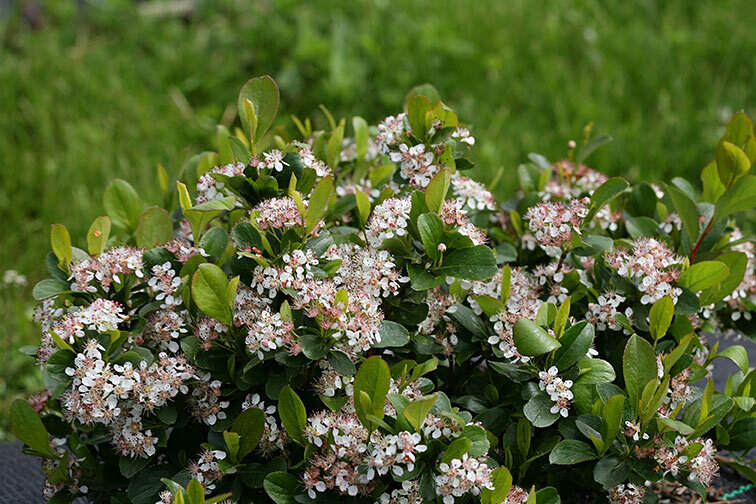 six:"Low Scape Mound Aronia melanocarpa is a tidy little ‘nativar’ (cultivar of a native) shrub that will gush with flowers in spring followed by berries for the birds in the fall. It's a tolerant, tough and functional selection making it a top pick for this year!​" Laura Caldie, Greenscape Gardens. 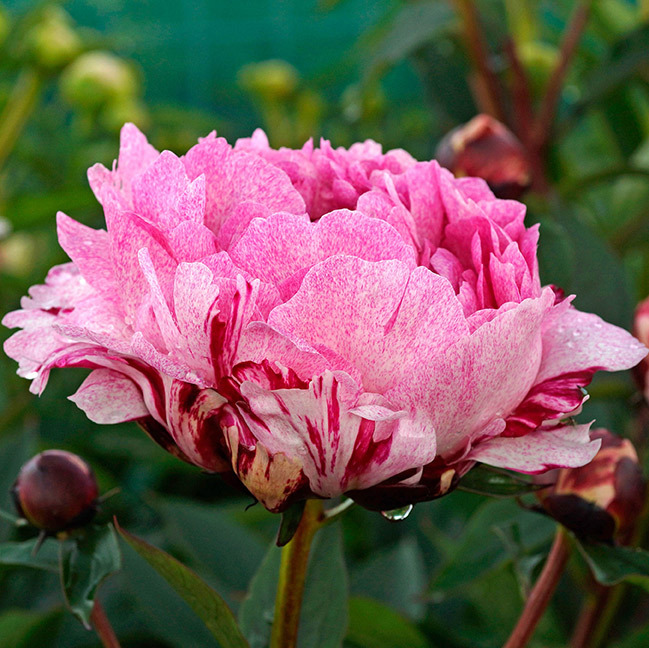 seven: “A rare and choice variety of peony, the Fawn, is now more readily available. Coveted for its layers of crepe paper-like light pink petals that are speckled with darker rosy-pink spots, each flower is perfectly formed and held high on a strong stem. Its profuse fragrant flowers stand up to rain and never need staking, making them superb for the garden and cut flowers.” Ann Lapides, Sugar Creek Gardens. eight: “One new varietal I’m looking forward to trying out is the Proven Winner's Festivus Gold Ninebark. 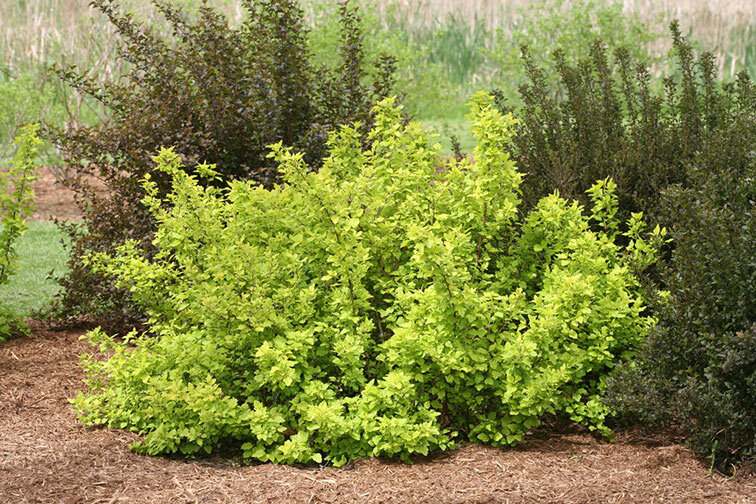 This medium-sized, chartreuse shrub adds a pop of color in smaller landscape designs without overwhelming the space. Plus, it has all over white cluster blooms in the spring!” Katy Scott, Green Guys.